People's Democratic Party (PDP) leaders are currently protesting about the outcome of the recent Osun elections. 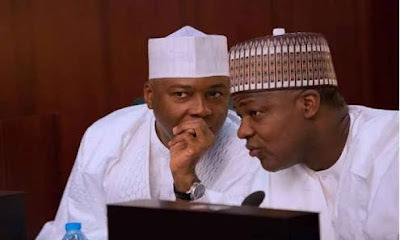 PDP leaders, such as Senate President Bukola Saraki, House Speaker Yakubu Dogara, and Uche Secondus National Party leader, are leading protesters at the headquarters of the Independent National Electoral Commission (INEC) in Abuja. Protesters are calling on INEC to declare candidate PDP Ademola Adeleke as the winner of the election.